Behaviorism is the philosophical position that says that psychology, to be a science, must focus its attentions on what is observable -- the environment and behavior -- rather than what is only available to the individual -- perceptions, thoughts, images, feelings.... The latter are subjective and immune to measurement, and therefore can never lead to an objective science. The first behaviorists were Russian. The very first was Ivan M. Sechenov (1829 to 1905). He was a physiologist who had studied at the University of Berlin with famous people like Müller, DuBois-Reymond, and Helmholtz. Devoted to a rigorous blend of associationism and materialism, he concluded that all behavior is caused by stimulation. In 1863, he wrote Reflexes of the Brain. In this landmark book, he introduced the idea that there are not only excitatory processes in the central nervous system, but inhibitory ones as well. Vladimir M. Bekhterev (1857 to 1927) is another early Russian behaviorist. He graduated in 1878 from the Military Medical Academy in St. Petersburg, one year before Pavlov arrived there. He received his MD in 1881 at the tender age of 24, then went to study with the likes of DuBois-Reymond and Wundt in Berlin, and Charcot in France. He established the first psychology lab in Russia at the university of Kazan in 1885, then returned to the Military Medical Academy in 1893. In 1904, he published a paper entitled "Objective Psychology," which he later expanded into three volumes. He called his field reflexology, and defined it as the objective study of stimulus-response connections. Only the environment and behavior were to be discussed! And he discovered what he called the association reflex -- what Pavlov would call the conditioned reflex. Which brings us to the most famous of the Russian researchers, Ivan Petrovich Pavlov (1849-1936). After studying for the priesthood, as had his father, he switched to medicine in 1870 at the Military Medical Academy in St. Petersburg. It should be noted that he walked from his home in Ryazan near Moscow hundreds of miles to St. Petersburg! In 1879, he received his degree in natural science, and in 1883, his MD. He then went to study at the university of Leipzig in Germany. In 1890, he was offered a position as professor of physiology at his alma mater, the Military Medical Academy, which is where he spent the rest of his life. It was in 1900 that he began studying reflexes, especially the salivary response. In 1904, he was awarded the Nobel Prize in physiology for his work on digestion, and in 1921, he received the Hero of the Revolution Award from Lenin himself. Pavlovian (or classical) conditioning builds on reflexes: We begin with an unconditioned stimulus and an unconditioned response -- a reflex! We then associate a neutral stimulus with the reflex by presenting it with the unconditioned stimulus. Over a number of repetitions, the neutral stimulus by itself will elicit the response! At this point, the neutral stimulus is renamed the conditioned stimulus, and the response is called the conditioned response. Or, to put it in the form that Pavlov observed in his dogs, some meat powder on the tongue makes a dog salivate. Ring a bell at the same time, and after a few repetitions, the dog will salivate upon hearing the bell alone -- without being given the meat powder! Pavlov agreed with Sekhenov that there was inhibition as well as excitation. When the bell is rung many times with no meat forthcoming, the dog eventually stops salivating at the sound of the bell. That’s extinction. But, just give him a little meat powder once, and it is as if he had never had the behavior extinguished: He is right back to salivating to the bell. This spontaneous recovery strongly suggests that the habit has been there all alone. The dog had simply learned to inhibit his response. Pavlov, of course, could therefore condition not only excitation but inhibition. You can teach a dog that he is NOT getting meat just as easily as you can teach him that he IS getting meat. For example, one bell could mean dinner, and another could mean dinner is over. If the bells, however, were too similar, or were rung simultaneously, many dogs would have something akin to a nervous breakdown, which Pavlov called an experimental neurosis. In fact, Pavlov classified his dogs into four different personalities, ala the ancient Greeks: Dogs that got angry were choleric, ones that fell asleep were phlegmatic, ones that whined were melancholy, and the few that kept their spirits up were sanguine! The relative strengths of the dogs’ abilities to activate their nervous system and calm it back down (excitation and inhibition) were the explanations. These explanations would be used later by Hans Eysenck to understand the differences between introverts and extraverts! Another set of terms that comes from Pavlov are the first and second signal systems. The first signal system is where the conditioned stimulus (a bell) acts as a “signal” that an important event is to occur -- i.e. the unconditioned stimulus (the meat). The second signal system is when arbitrary symbols come to stand for stimuli, as they do in human language. Over in America, things were happening as well. Edward Lee Thorndike, although technically a functionalist, was setting the stage for an American version of Russian behaviorism. Thorndike (1874-1949) got his bachelors degree from Wesleyan University in Connecticut in 1895 and his masters from Harvard in 1897. While there he took a class from William James and they became fast friends. He received a fellowship at Columbia, and got his PhD in 1898. He stayed to teach at Columbia until he retired in 1940. 1. The law of exercise, which is basically the same as Aristotle’s law of frequency. The more often an association (or neural connection) is used, the stronger the connection. Naturally, the less it is used, the weaker the connection. These two were referred to as the law of use and disuse respectively. 2. The law of effect. When an association is followed by a “satisfying state of affairs,” the connection is strengthened. And, likewise, when an association is followed by an unsatisfying state of affairs, it is weakened. Except for the mentalistic language (“satisfying” is not behavioral! ), it is the same thing as Skinner’s operant conditioning. In 1929, his research led him to abandon all of the above except what we would now call reinforcement (the first half of law 2). He is also known for his study of transfer of training. It was believed back then (and is still often believed) that studying difficult subjects -- even if you would never use them -- was good for you because it “strengthened” your mind, sort of like exercise strengthens your muscles. It was used back then to justify making kids learn Latin, just like it is used today to justify making kids learn calculus. He found, however, that it was only the similarity of the second subject to the first that leads to improved learning in the second subject. So Latin may help you learn Italian, or algebra may help you learn calculus, but Latin won’t help you learn calculus, or the other way around. John Watson was born January 9, 1878 in a small town outside Greenville, South Carolina. He was brought up on a farm by a fundamentalist mother and a carousing father. When John was 12, they moved into the town of Greenville, but a year later his father left the family. John became a troublemaker and barely passed in school. At 16, he began attending Furman University, also in Greenville, and he graduated at 22 with a Masters degree. He then went on to the University of Chicago to study under John Dewey. He found Dewey “incomprehensible” and switched his interests from philosophy to psychology and neurophysiology. Dirt poor, he worked his way through graduate school by waiting tables, sweeping the psych lab, and feeding the rats. In 1902 he suffered from a “nervous breakdown” which had been a long time coming. He had suffered from an intense fear of the dark since childhood -- due to stories he had heard in childhood about the devil doing his work in the night -- and this exacerbated into depression. The following year, he was made an instructor. He developed a well-run animal lab where he worked with rats, monkeys, and terns. Johns Hopkins offered him a full professorship and a laboratory in 1908, when the previous professor was caught in a brothel. In 1913, he wrote an article called "Psychology as a Behaviorist Views It" for Psychological Review. Here, he outlined the behaviorist program. This was followed in the following year by the book Behaviorism: An Introduction to comparative Psychology. In this book, he pushed the study of rats as a useful model for human behavior. Until then, rat research was not thought of as significant for understanding human beings. And, by 1915, he had absorbed Pavlov and Bekhterev’s work on conditioned reflexes, and incorporated that into his behaviorist package. In 1917, he was drafted into the army, where he served until 1919. In that year, he came out with the book Psychology from the Standpoint of a Behaviorist -- basically an expansion of his original article. At this time, he expanded his lab work to include human infants. His best known experiment was conducted in 1920 with the help of his lab assistant Rosalie Rayner. “Little Albert," a 9 month old child, was conditioned to fear a white rat by pairing it seven times with a loud noise made by hitting a steel bar with a hammer. His fear quickly generalized to a rabbit, a fur coat, a Santa Clause mask, and even cotton. Albert was never "deconditioned" because his mother and he moved away. It was clear, however, that the conditioning tended to disappear (extinguish) rather quickly, so we assume that Albert was soon over his fear. This suggests that conditioned fear is not really the same as a phobia. Later, another child, three year old Peter, was conditioned and then “de-conditioned” by pairing his fear of a rabbit with milk and cookies and other positive things gradually. In that year, his affair with his lab assistant was revealed and his wife sued for divorce. The administration at Johns Hopkins asked him for his resignation. He immediately married Rosalie Rayner and began looking for business opportunities. He published his book Behaviorism, designed for the average reader, in 1925, and revised it in 1930. This was his final statement of his position. Psychology according to Watson is essentially the science of stimuli and responses. We begin with reflexes and, by means of conditioning, acquire learned responses. Brain processes are unimportant (he called the brain a “mystery box”). Emotions are bodily responses to stimuli. Thought is subvocal speech. Consciousness is nothing at all. In addition to writing popular articles for McCall’s, Harper’s, Collier’s and other magazines, he published Psychological Care of the Infant and Child in 1928. Among other things, he saw parents as more likely than not to ruin their child’s healthy development, and argued particularly against too much hugging and other demonstrations of affection! In 1936, he was hired as vice-president of another agency, William Esty and Company. He devoted himself to business until he retired ten years later. He died in New York City on September 25, 1958. William McDougall doesn't belong in this chapter, really. But his dislike for Watson's brand of behaviorism and his efforts against it warrant his inclusion. He was born June 22, 1871 in Lancashire, England. He entered the University of Manchester at 15, and received his medical degree from St. Thomas's Hospital in London, in 1897. He usually referred to himself as an anthropologist, especially after a one-year Cambridge University expedition to visit the tribes of central Borneo. From 1898, McDougall held lectureships in Cambridge and Oxford. His reputation developed in England with the publication of several texts, including Introduction to Social Psychology in 1908 and Body and Mind in 1911. In 1912, he was made a Fellow of the Royal Society. During WWI, he served in the medical corps, treating soldiers suffering from "shell shock," what we now call post-traumatic stress syndrome. After the war, he himself received therapy from Carl Jung! In 1924, he participated in The Battle of Behaviorism (published in 1929). This was a debate with John Watson at the Psychology Club meeting in Washington DC that year. The audience narrowly voted McDougall the winner, but it would be Watson who would win the favor of American psychology for years to come! 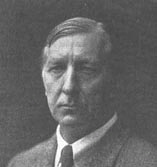 McDougall resigned from his position as chair of Psychology at Harvard in 1926, and began teaching at Duke University in 1927. It should be noted that he had a particular strong relationship with his wife, and in 1927 dedicated his book Character and the Conduct of Life to her with these words: "To my wife, to whose intuitive insight I owe whatever understanding of human nature I have acquired." He died in 1938. McDougall was an hereditarian to the end, promoting a psychology based on instincts. He himself referred to his position as evolutionary psychology. Further, he was the leading critic of the behaviourism of his day. He particularly hated Watson's simplistic materialism. McDougall was not well like by his students or by his colleagues. The American press (notably the New York Times) was particularly antagonistic towards him. The reasons were clear: McDougall took his hereditarian position at a time when the environmental position ruled American psychology and popular opinion. He called himself a "democratic elitist" and considered a nation's intellectual aristocracy a treasure which should be protected. Further, he believed in the hereditary nature of group differences, both national and racial, and proposed the institution of eugenic programs. In his defense, however, he had no sympathy with Nazism and its version of eugenics! McDougall has been largely forgotten -- until recently, with genetics and evolutionary psychology on the rise. Notice that instincts are purposive, i.e. goal-directed! This is not stimulus-response behaviorism! Clark Leonard Hull was born May 24, 1884 near Akron, New York, to a poor, rural family. His was educated in a one-room school house and even taught there one year, when he was only 17. While a student, he had a brush with death from typhoid fever. He went on to Alma College in Michigan to study mining engineering. He worked for a mining company for two months when he developed polio. This forced him to look for a less strenuous career. For two years, he was principal of the same school he had gone to as a child -- now consisting of two rooms! He read William James and saved up his money to go to the University of Michigan. After graduating, he taught for a while, then went on the the University of Wisconsin. He got his PhD there in 1918, and stayed to teach until 1929. This was where his ideas on a behavioristic psychology were formed. In 1929, he became a professor of psychology at Yale. In 1936, he was elected president of the APA. He published his masterwork, Principles of Behavior, in 1943. In 1948, he had a massive heart attack. Nevertheless, he managed to finish a second book, A Behavior System, in that same year. He died of a second heart attack May 10, 1952. Time of deprivation or the period and intensity of painful stimuli. G, the size and quality of the reinforcer. The time delay between the response and the reinforcer. The time between the conditioned and unconditioned stimulus. N, the number of trials. The amount of time the rat had been active. V, the stimulus intensity dynamism. D, the drive or primary motivation or need (dependent on deprivation, etc.). K, incentive motivation (dependent on the amount or quality of reinforcer). J, the incentive based on delay of reinforcement. sHr, habit strength, based on N, G (or K), J, and time between conditioned and unconditioned stimulus. Ir, reactive inhibition (e.g. exhaustion because the rat had been active for some time). sIr, conditioned inhibition (due to other training). sLr, the reaction threshold (minimum reinforcement required for any learning). sOr, momentary behavioral oscillation -- i.e. random variables not otherwise accounted for. sEr = V x D x K x J x sHr - sIr - Ir - sOr - sLr. Latency (speed of the response). Amplitude (the strength of the response). Frequency (the probability of the response. All of which are measures of R, the response, which is a function of sEr. The essence of the theory can be summarized by saying that the response is a function of the strength of the habit times the strength of the drive. It is for this reason that Hull’s theory is often referred to as drive theory. Hull was the most influential behaviorist of the the 1940’s and 50’s. His student, Kenneth W. Spence, maintained that popularity through much of the 1960’s. But the theory, acceptable in its abbreviated form, was too unwieldy in the opinion of other behaviorists, and could not easily generalize from carefully controlled rat experiments to the complexities of human life. It is now a matter of historical interest only. A very different theory would also have some popularity before the behaviorism left the experimental scene to the cognitivists: The cognitive behaviorism of Edward Chase Tolman. E. C. was born April 14, 1886 in Newton, Mass. His father was a businessman, his mother a housewife and fervent Quaker. He and his older brother attended MIT. His brother went on to become a famous physicist. E. C. was strongly influenced by reading William James, so in 1911 he went to graduate school at Harvard. While there, he spent a summer in Germany studying with the Kurt Koffka, the Gestalt psychologist. He received his PhD in 1915. He went off to teach at Northwestern University. But he was a shy teacher, and an avowed pacifist during World War I, and the University dismissed him in 1918. He went to teach at the University of California at Berkeley. He also served in the OSS (Office of Strategic Services) for two years during World War II. The University of California required loyalty oaths of the professors there (inspired by Joseph McCarthy and the “red scare”). Tolman led protests and was summarily suspended. The courts found in his favor and he was reinstated. In 1959 he retired, and received an honorary doctorate from the same University of California at Berkeley! Unfortunately, he died the same year, on November 19. Although he appreciated the behaviorist agenda for making psychology into a true objective science, he felt Watson and others had gone too far. 1. Watson’s behaviorism was the study of “twitches” -- stimulus-response is too molecular a level. We should study whole, meaningful behaviors: the molar level. 2. Watson saw only simple cause and effect in his animals. Tolman saw purposeful, goal-directed behavior. 3. Watson saw his animals as “dumb” mechanisms. Tolman saw them as forming and testing hypotheses based on prior experience. 4. Watson had no use for internal, “mentalistic” processes. Tolman demonstrated that his rats were capable of a variety of cognitive processes. An animal, in the process of exploring its environment, develops a cognitive map of the environment. The process is called latent learning, which is learning in the absence of rewards or punishments. The animals develops expectancies (hypotheses) which are confirmed or not by further experience. Rewards (and punishments) come into play only a motivators for performance of a learned behavior, not as the causes of learning itself. He himself acknowledged that his behaviorism was more like Gestalt psychology than like Watson’s brand of behaviorism. From our perspective today, he can be considered one of the precursors of the cognitive movement. Imagine a rat in a cage. This is a special cage (called, in fact, a “Skinner box”) that has a bar or pedal on one wall that, when pressed, causes a little mechanism to release a foot pellet into the cage. The rat is bouncing around the cage, doing whatever it is rats do, when he accidentally presses the bar and -- hey, presto! -- a food pellet falls into the cage! The operant is the behavior just prior to the reinforcer, which is the food pellet, of course. In no time at all, the rat is furiously peddling away at the bar, hoarding his pile of pellets in the corner of the cage. In both cases, it keeps the rats on their rat toes. With the variable interval schedule, they no longer “pace” themselves, because they no can no longer establish a “rhythm” between behavior and reward. Most importantly, these schedules are very resistant to extinction. It makes sense, if you think about it. If you haven’t gotten a reinforcer for a while, well, it could just be that you are at a particularly “bad” ratio or interval! Just one more bar press, maybe this’ll be the one! Beyond these fairly simple examples, shaping also accounts for the most complex of behaviors. You don’t, for example, become a brain surgeon by stumbling into an operating theater, cutting open someone's head, successfully removing a tumor, and being rewarded with prestige and a hefty paycheck, along the lines of the rat in the Skinner box. Instead, you are gently shaped by your environment to enjoy certain things, do well in school, take a certain bio class, see a doctor movie perhaps, have a good hospital visit, enter med school, be encouraged to drift towards brain surgery as a speciality, and so on. This could be something your parents were carefully doing to you, ala a rat in a cage. But much more likely, this is something that was more or less unintentional. 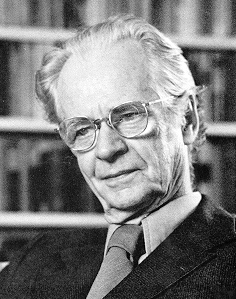 Behavior modification -- often referred to as b-mod -- is the therapy technique based on Skinner’s work. It is very straight-forward: Extinguish an undesirable behavior (by removing the reinforcer) and replace it with a desirable behavior by reinforcement. It has been used on all sorts of psychological problems -- addictions, neuroses, shyness, autism, even schizophrenia -- and works particularly well with children. There are examples of back-ward psychotics who haven’t communicated with others for years who have been conditioning to behave themselves in fairly normal ways, such as eating with a knife and fork, taking care of their own hygiene needs, dressing themselves, and so on. Skinner was to enjoy considerable popularity during the 1960's and even into the 70's. But both the humanistic movement in the clinical world, and the cognitive movement in the experimental world, were quickly moving in on his beloved behaviorism. Before his death, he publicly lamented the fact that the world had failed to learn from him.